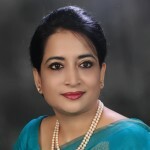 Selima Ahmad is the President of the Bangladesh Women Chamber of Commerce and Industry (BWCCI) and has been working for the private sector development for last 28 years. She has helped to promote the development of more than 7,000 women entrepreneurs by planning, designing, and facilitating various programs. She supports these initiatives by providing training, business counseling, credit linkages, acting as guarantor, and lobbying government and policy makers on behalf of women entrepreneurs across Bangladesh. She developed 600 grassroots women through training and access to information to ensure their active and increased participation in socio-economic and civil life and to broaden the opportunity of women’s social network. Her accomplishments have earned her the title of best female entrepreneur in Bangladesh by various organizations. She has also been awarded the Islamic Development Bank (IDB) prize 2012 for Women’s Contribution to Development in recognition of her outstanding leadership and ability to utilize financial networks to promote the development of women entrepreneurs in Bangladesh. She received the Jeane J. Kirkpatrick 2013 Award by International Republican Institute. In 2014, she was awarded with the prestigious Oslo Business for Peace Award.